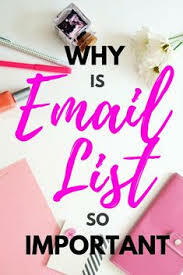 In this post I am going to discuss about the importance of having an email list for your business and going to share with you How To Build An Email List For Marketing. When it comes to “Marketing” I mean the useful programs or products that will add value to your customers. In the simple terms, it’s about collecting the people contacts mainly email addresses with their permission to contact them whenever we publish a post or we find things or information related to their interest. It’s about adding value to their life by keeping them updated on their interest. Simple in order to contact. In many cases although they are interested in visiting our site or wanted to know about our posts and recommendation they won’t get a chance to revisit our website, in those cases when we send information to their email it will be a greater help to them. Many experts often advice by saying “If you don’t have an email list your business is dying”, so email list plays a vital role when it comes to business. Your email list is your big asset. Below information will show you the importance of building an email list. When I came across these stats while reading online it was an eye opener for me. Hope the above stats makes my job easy in explaining the importance of email marketing. You have an Asset which will help you in making consistent sales. You can build your real business with your database without trusting other channels. Most of your visitors won’t show up again after their first visit, so if they subscribed to your list you can contact them. Building relationship – For most of us, it’s hard to pop in into a website and just buy a product or service. When we build a relationship via email marketing then it’s not that much harder for them to take our recommendation. 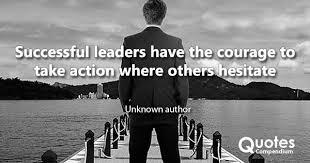 Will take you From Author to Authority. 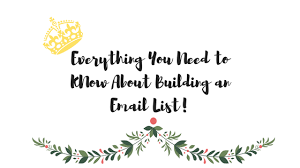 So now we move on to the main point of our discussion on How To Build An Email List For Marketing, I am going to explain you with the basics…. 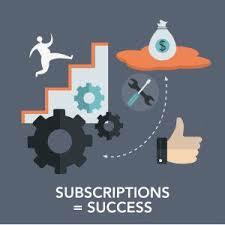 Subscribers Form – On your website you can have a Subscription form through that you can collect your visitors contact details so that you can contact them. Free Give Away – You can provide some valuable information (For Example an Ebook or Free Report) as an exchange or offer for subscribing to your mailing list. Social Media – You can share and let your friends know about your website and you can ask them to subscribe if they are interested. Let Your Friends and Relatives know what you are doing – Many of us forget the importance of discussing what we do with our family, friends and relatives. If we are not confident in promoting our own service to our own family members and friends how can we expect others to trust us and use our service or accept our recommendation. Share with them and let them know the benefits they get by subscribing to your list. Dear Friend, most advertising studies have shown that majority of the people won’t buy anything from you on the first contact, and it takes several reminders before they actually take any action. The one that I am using is “Email Subscribers & Newsletters” plugin with the help of this plugin you can, Add subscription forms on website, send HTML newsletters & automatically notify subscribers about new blog posts once it is published. You can see all the details of your subscribers. You can Import and Export your list. You can have minimum 10000 subscribers. 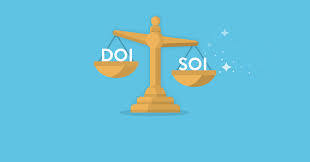 In the plugin you will have the single opt in and double opt in option, I will advice you to go with the single opt in option rather than double opt in option. What Is Single Opt In? In this type of email subscription the user does not need to confirm his or her interest again. In this type of email subscription where your subscriber after submitting his or her details on the subscription form still he or she need to confirm it again via their email, they will get a confirmation they need to click on that link. Reason for suggesting the single opt in – Already because of his or her interest the user is providing the details or subscribing to our list so that’s more than enough rather asking the user to confirm it again. Also due to some reason the user might miss that double confirmation email although the user is interested if we have double opt in option we will miss the user. All the online marketing company uses Autoresponder. Autoresponder plays an important role in list building, it sends email automatically once you put the email in the list. It makes your job easy and through that you can send a series of emails related to your service. You can advertise your squeeze pages and chapter pages via Autoresponder. 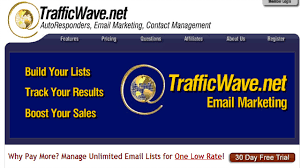 To name a few Top Autoresponders…. So give some thoughts, I would personally advice you, rather going for an autoresponder in the initial part of your online business, you can go for an Autoresponder once you start earning some reasonable money from your business. Hope this post on How To Build An Email List For Marketing gave you some insights and you now know the importance of building your email list for marketing. As Edmund Loh stated in his book Crushing It….. Thus it is more intelligent to make list building your main priority before closing the sale through your follow up emails. A recent study concluded that email is almost 40 times better at acquiring new customers than face-book and twitter. I am learning about earning money online from a genuine program which helping me to learn and earn. If you are interested below is the details. I just started my own website at Wealthy Affiliate! How long do you think it takes to compile a good email list you can make money off of? I am trying to learn everything I can about affiliate marketing. Its great to know that you are a part of the great community Wealthy Affiliate for sure that’s the best place you can learn and earn online. 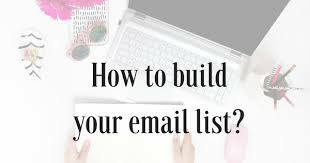 As I mentioned in the post by having a subscriber form you can build an email list at the initial stage. Yes continuous learning is the key in affiliate marketing so keep learning. Great informative article, you explanation of the opted options was very helpful. Seeing the percentages made me want to focus more on building my list. 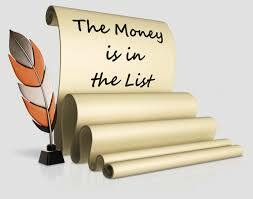 For sure you need to focus on building your list its very very important. I am happy you found this post informative. Jim do remember the Money is in the list. Thank you for the useful information on how to build an email list. Your explanation on the double opt or single opt was of particular interest to me. Happy to hear that my post was helpful actually that’s the main reason for my post to serve and provide useful information for others. Yes Compared to double opt in, single opt in can get you more subscribers to your list also I explained the reason. I was always in the ‘dark’ about the importance of a mailing list but you hit the nail right on its head! You have laid out all the answers to my questions and it was like you were reading my mind for the next question. I have read the book you suggested, it is very motivating and I am also making notes and getting ready to implement the tips I am learning. Thanks for this information. Me too Michelle not taken it serious when it comes to building an email list and I felt bad when I came to know its importance mainly when I read those stats. I am happy you read “Crushing It” book, very helpful with loads of information. Michelle I am happy to hear you are implementing what you learnt because many fail due to this or many fail in the implementation part. Happy to hear from you and thanks for stopping by. Yes when I look at those stats it really motivated me and then only I realized why experts keep insisting the importance of building an email list. So its very very must to have our own email list. All the very Best! Hi Paul. Your post has provided me the guidance I needed on my journey to build a business online. I was tempted to sign up for and autoresponder but after reading this post I realize that this may be premature, that I should rather start with the wordpress plugin that you recommended until I begin making some money as you suggested. Its great to hear that you got some guidance for your online business from this post. Yes it is advisable to earn some money and manage with the available resources until you build your business to the next level. For example with mailchimp Autoresponder you have free plan and you can have up to 2000 emails. So manage with those once your business grows you can look for those options. Hi Paul, it is a timely article for me. Right now I am working on my emailing list system to support my online business. After careful research, I decided to use to mailchimp system. One big advantage is that the system is free if you have less than 2000 emails in your list. As a beginner, it takes time for me to master the system. I think this could be a nice approach. Do you have any specific suggestions for me to use the mailchimp system for list building? Happy to hear that you are working on building your email list and you are taking your online business to the next level by doing that, keep up the good work. Yeah mailchimp is one of the best one and in the initial stage of your online business you can use free membership and once your list grows beyond 2000 emails you can opt for the upgrade. Lot of autoresponders provide their own training on how to use the autoresponder effectively and there are free training materials related to that so please check. Paul, this is such a perfect guide for how to build your email list. I am going to read this over several times until I truly understand it. Great job. Each step you presented is so informative. “Thus it is more intelligent to make list building your main priority before closing the sale through your follow up emails.” that is powerful. So many thanks! Money is in the list and for sure building an email list will be the wise thing to do and its in the top priority for an online marketer. This is very useful information on how to build an email list for marketing. It is an essential part of a business as the statstics you have provided show. Thank you for the instructions I can follow to help me build a list. Indeed, when I look at the stats it was an eye opener and I realized the importance of building a list. For sure without an email list our business don’t have a future.